NASA is another step closer to completing all main structures for the agency’s first launch of the Space Launch System deep space rocket. The liquid oxygen flight tank was recently built in the Vertical Assembly Center robotic welder at NASA’s Michoud Assembly Facility in New Orleans. 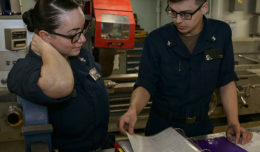 After the liquid oxygen tank was inspected, it was moved to another area for plug welding to fill the holes left by the friction stir welding process. 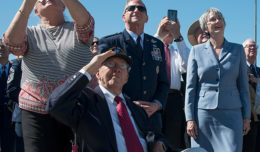 Five major parts — the engine section, liquid hydrogen tank, intertank, liquid oxygen tank and forward skirt –will be connected together to form the 212-foot-tall core stage, the backbone of the SLS rocket. 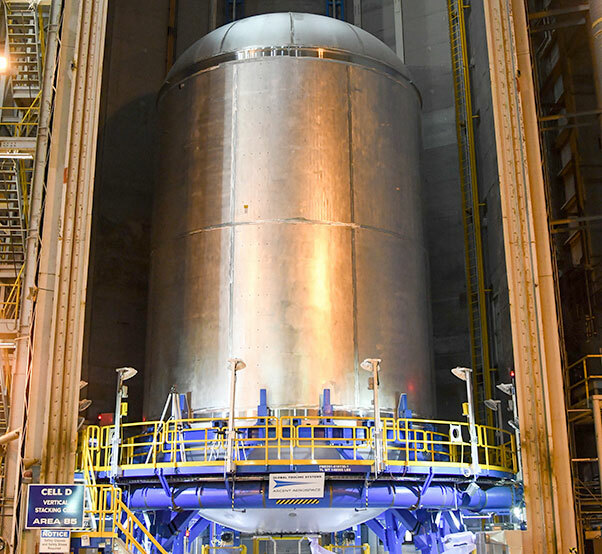 Boeing, the prime contractor for the core stage, is welding the liquid hydrogen tank structure–the final major core stage structure to be built for the first integrated flight of SLS and Orion. The liquid hydrogen and liquid oxygen tanks will hold 733,000 gallons of propellant to power the stage’s four RS-25 engines that together produce more than 2 million pounds of thrust.